Posted by Mav on February 22, 2009. The Towel Drills staff welcomes long-time Cub fan and former college pitcher "Mav" to the TD Bullpen. Mav will be bringing us some great in-depth stuff throughout the season with the added perspective of actually having competed at a level higher than tee ball or beer league softball (though I can vouch for Mav's credentials in the latter as well). Today Mav kicks off his new "TD in Focus" series, spotlighting one of this year's new Cubs pitchers, Aaron Heilman. Enjoy. Aaron Heilman graduated from Logansport High School in 1996, and made quite a name at Notre Dame as a hurler for the Irish. Heilman was 24 years old when he broke into the big leagues on June 26, 2003, with the New York Mets. Prior to joining the Cubs this offseason, Heilman’s value plummeted following a lackluster 2008 season, where he finished with a 5.21 ERA and a 1.59 WHIP, allowing 38% of inherited runners to score. (For a great discussion on this statistic, see this recent NY Times article. )However, one ugly season aside, Heilman has proven himself to be an effective reliever with the ability to spot a few starts. The former 1st-round pick is unquestionably talented, with a plus arm and stuff that jumps off the pages. This offseason, there was a lot of talk that Heilman was looking to find a team that would give him a shot to return to his roots as a starting pitcher (his stats at Notre Dame are pretty sick). The Mets did not see him as a starter because he pitches three-quarters with a “high-end elbow” delivery, making him an injury risk. Enter 2009 with the Cubbies. As we all may recall, the Cubbies recently have found success moving a reliever back into the rotation (see Ryan Dempster). However, the Cubbies have also ruined fine arms by putting them into the rotation with a suboptimal delivery (see Kerry Wood). We shall see. What you can expect from Heilman this year is a fastball, changeup, and a “10 to 4” slider that sweeps across the plate and down and away from right-handed hitters. Heilman's bread-and-butter has always been his fastball-changeup combo, and thus it has proven difficult to predict his slider (a pitch he rarely threw prior to 2008). Breaking down Heilman's repertoire a little further, we see there are some blemishes beneath the swing-and-miss allure. Last year, Heilman is consistently found himself outside of the strikezone. It's safe to say Heilman has the killer pitches, but his 2008 stats may be a reflection of hackers chasing them, rather than attacking within the zone.From 2005 to 2007, he ran a K/BB rate of between 2.61 and 3.15, showing good enough command of his fastball/change-up combination to throw strikes while missing a decent amount of bats. Last year, however, his walk rate went through the moon, jumping from 2.09 to 5.45, and his HR/FB rate spiked, causing him to be a bit home run prone. It could be random variation, where he just had a rough year finding the strike zone, but a quick look at his pitch selection reveals an interesting change - Heilman started throwing a lot more sliders last year, throwing them in 12% of his pitches versus just 0.4% a year prior. The change-up dropped from 37.9% to just 24%, as the slider made him more of a three pitch guy and less dependent on the change. Stats Provided by FanGraphs, The Baseball Cube, and The Hardball Times. The trendy conclusion here is that the slider may have allowed Heilman to miss a lot more bats, but he got those gains in strikeout rate by throwing way too many pitches out of the strike zone, the end result being a jump in walk rate that was more detrimental than the jump in strikeout rate. The more logical conclusion, however, is that Heilman lost consistent control of his primary pitch – the fastball, and that he became more dependent on his slider to “fool” hitters as a result. He has never been a strikeout pitcher, per se, and it’s too far of a leap to suggest that Heilman was looking to increase his K’s at the expense of every other statistic in the books. If it is his fastball that was the initial problem (so think Mets apologists who insist that Heilman had a knee injury last year – a slider would be much easier on the knees because you generally shorten your stride when not throwing a fastball), we need to look for Heilman to regain command over this fastball/changeup now that he is assumedly healthy, and to decrease his reliance on the slider. This would allow for more effective command over the strike zone. My conclusion is that Heilman will likely remain in the bullpen throughout the majority of the season. He must show that he has regained his ability to command the strike zone with this fastball before he can fool hitters with a swinging slider. In 2008, he fooled almost no one and had to become a human slingshot because he could not get his first-pitch fastball across the plate. In either case, Heilman needs to remember the most important pitch in a pitcher’s repertoire: The first pitch. Let’s look for Heilman to get that first pitch fastball across, to work in the changeup low in the zone, and to relegate the slider back to its prior use – for practically nothing. You're pretty accurate on Heilman. As a Mets fan, I watched him for several years, and saw him basically go from a major bust, to a stopper in the bullpen, and back again. One of the main reasons he became successful was a change in his arm angle and gaining consistency with his release point, which is why he was able to use his slider as a strikeout pitch so often. It was always obvious that he wanted to start, and he even threw a one-hit shutout in 2005, but there was never any room for him in the rotation, and he proved himself too valuable in the bullpen, at least until he just imploded last season. He proved to be far too prone to the HR ball, particularly at inopportune times (see: Yadier Molina) and this problem resurfaced with regularity in '07 and '08. 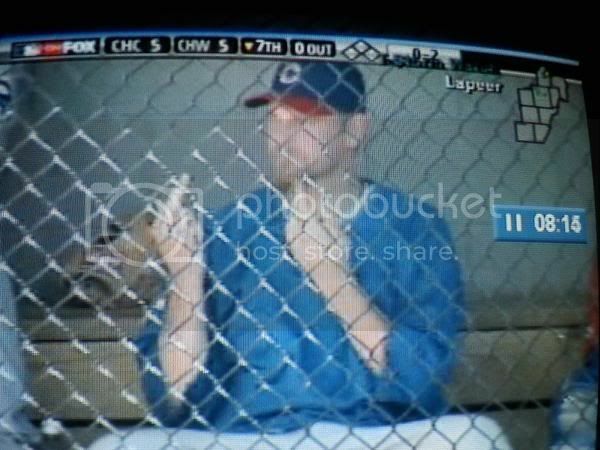 Because of this, I'm not sure he'll ever be starting pitcher material, and I don't know if that will bode well on a windy day at Wrigley Field. Good lick with him.